Maggie Holben’s career focus has been media relations, the strategies and tactics necessary to achieve impactful editorial placements in the international, national, trade press, local and social media. 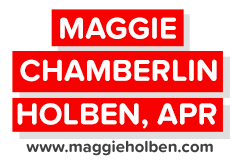 Maggie is accredited by the Public Relations Society of America and is a member of its Counselors Academy, plus she is certified as an Industry Analyst Relations Practitioner. Now retired, she achieved forty years of service during her career in the industry. Past media placements include the Washington Post, Woman's World, Inc. Magazine, the Chicago Tribune, Redbook Magazine, Associated Press Wire Service, Denver's Fox 31/WB2 News, USA Today, Entrepreneur Magazine, More Magazine, KUSA 9 News, CBS4 Denver, Denver Post, Xconomy, InnovatioNews, Denver Business Journal, ColoradoBiz, Colorado Construction, National Defense Magazine, Army Engineer, Military Engineer, Defense Cleanup, Chemical Engineering Progress, Colorado Springs Gazette, Colorado Springs Business Journal, BizWest, CompanyWeek, Advertising & Marketing Review and more.